There is no question that Hong Kong people love to shop; that’s why they call the city a shoppers’ paradise. This past week, citizens took our national sport to a whole new level. 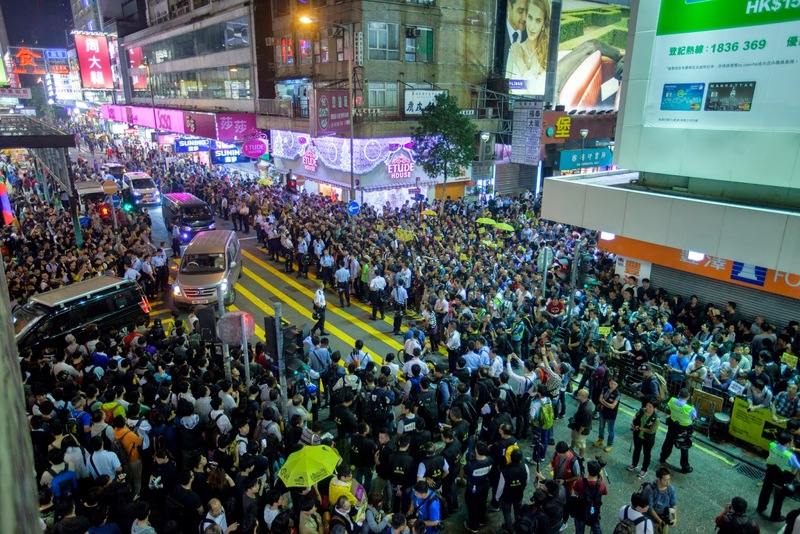 Gouwu (購物) – which means shopping in Mandarin – has become the rallying cry for pro-democracy protesters to call on one another to visit busy shopping streets in large numbers to overrun the area. The goal is to get even with the police for aiding and abetting the clearance operation in Mongkok last week. 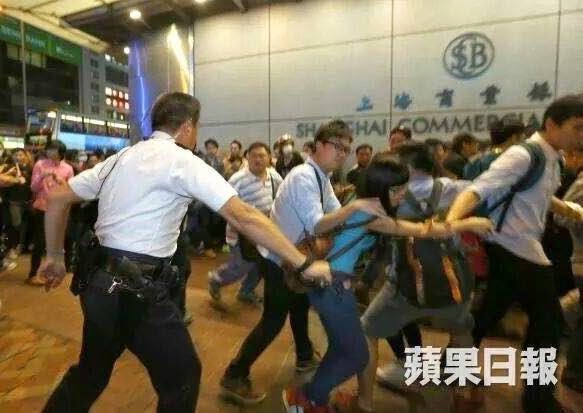 These shopaholics were hard at work in Kowloon even during Sunday’s violent clashes outside the Government Headquarters on the other side of the harbor. They have also found unlikely allies in the United States, where citizens have been staging “die-ins” at shopping malls and train stations by playing dead on the floor in protest of the fatal police shooting of an unarmed teenager in Ferguson, Missouri. Mongkok, or MK for short, is a rough neighborhood on a good day, a cross between Harajuku in Tokyo and the Bronx in New York City. 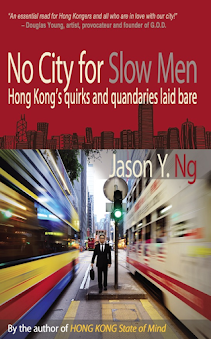 It is where shopping malls tower over decades-old tenement buildings, where young buskers belt out Cantopop oldies next to a 55-year-old hula-hooper, and where mafia bosses patrol the streets to check up on seedy bars, nightclubs and massage parlors. Since tough streets beget tough crowds, you don’t expect MK protesters to take kindly to the government’s declaration of war last week. But even retail therapy can get a little tense. 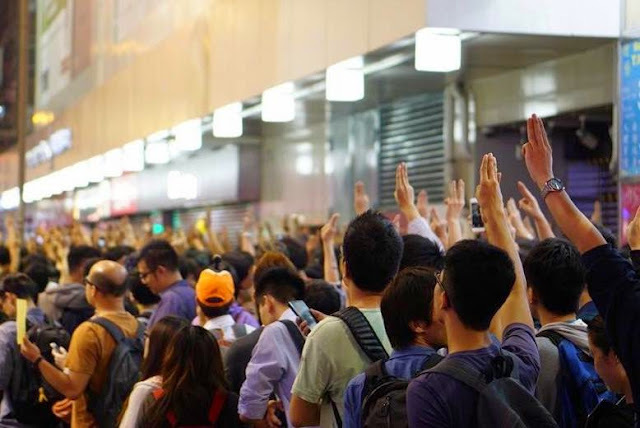 Once in a while, shoppers raise their right hands and give the famous three-finger salute (from The Hunger Games movies) in defiance. To taunt police, some recite passages from the Bible while others chant unintelligible verses from the Nilakantha Dharani, an ancient Buddhist script. When their path is blocked by police barricades, they fall into a tactical formation like a Roman battalion and use umbrellas and homemade shields to breach police lines. The gouwu operation was most intense last Friday, when shoppers led police on a wild goose chase through the dizzying web of backstreets between Mongkok and Tsim Sha Tsui in an all-night game of human Pac-Man. The police find little amusement in the shoppers’ antics. Whether it is stress, guilt, plunging morale, or all of the above, their reactions range from mild annoyance to raging violence. Whereas unreasonable search and seizure is common and probably illegal, it is the indiscriminate assault on both protesters and bystanders that has drawn the most public outrage. Stories of citizens being randomly snatched by police and tackled to the ground are followed by allegations of torture and sexual molestation while they were held in police custody. Officers are also increasingly turning on the media, arresting a television engineer because his step ladder (used by the cameraman to get a better vantage point) accidentally brushed an officer's leg and making up stories about a press photographer trying to seize an officer’s gun. From rank-and-file officers to the riot police, to the PTU tactical unit and the anti-organized crime bureau, "Hong Kong’s Finest" are slowly coming undone. In a few isolated cases, those who are supposed to “serve with pride and care” appear to have jumped off the deep end, like the PC who ordered a South Asian pedestrian to “go back to India” and the superintendent caught on camera beating innocent passers-by with his baton. It would be unfair, however, to put all the blame on frontline officers. 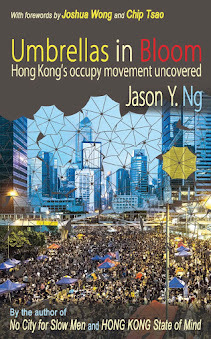 In the epic power struggle between the government and the governed, it is the people – policemen and protesters – who take the heat and get burned. To use a retail analogy, trying to solve a political problem with law enforcement is like dealing with a customer complaint by calling in store security. It’s a no-win proposition for everyone involved. 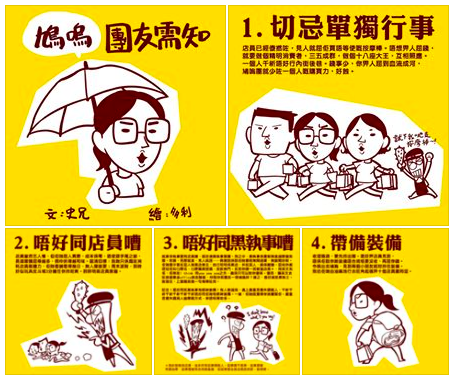 The Umbrella Movement has proved to be enduring and ever-changing. In the past two months, it has evolved from a class boycott to a mass protest, to a street occupation and now to this: an all-out urban guerrilla warfare playing out in Mongkok every night. Based loosely on Bruce Lee’s combat philosophy to “be formless and shapeless like water,” the new approach is fluid, spontaneous and unpredictable. 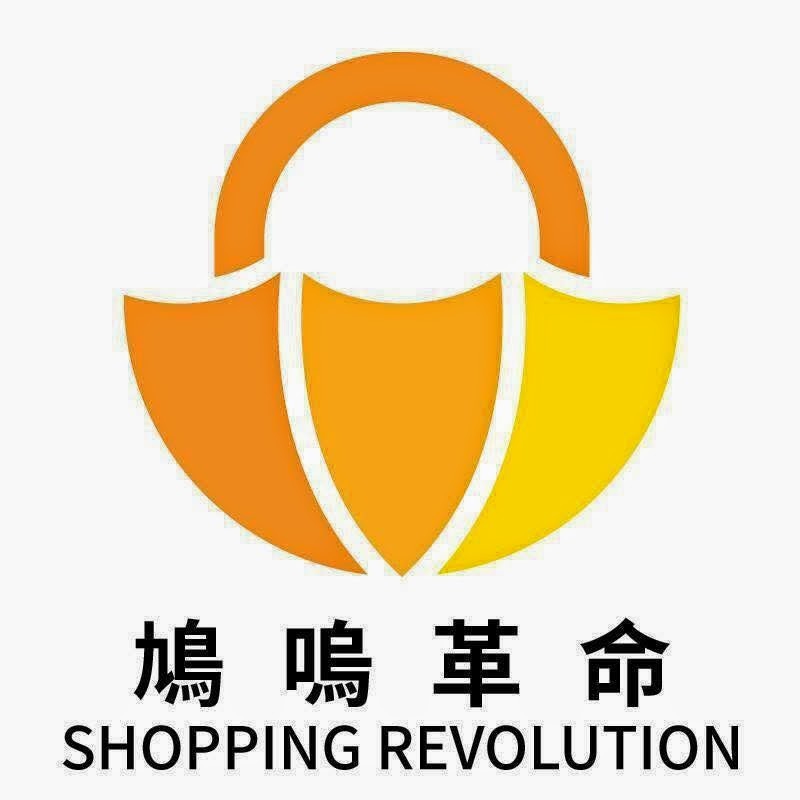 Above all, it can be easily replicated anywhere in the city – Central, Causeway Bay, Tsim Sha Tsui and Sham Shui Po – with the help of Facebook and Whatsapp. This new phase of “mobile occupation” has not only given police the run around, but because the line between pedestrians and protesters is blurred, it has also made it harder for participants to be prosecuted under the city’s public order ordinance banning unlawful assemblies. This last point is especially relevant given that the High Court has just issued an injunction barring protesters from remaining on Harcourt and Connaught Roads, and that the days of the Admiralty protest site are numbered. That means protesters will need to think up inventive ways to keep the movement alive while circumventing the law and court orders. It is said that to rid a garden of dandelions, stepping on them will only send the seeds into the wind and worsen the blight. Our government has done just that. 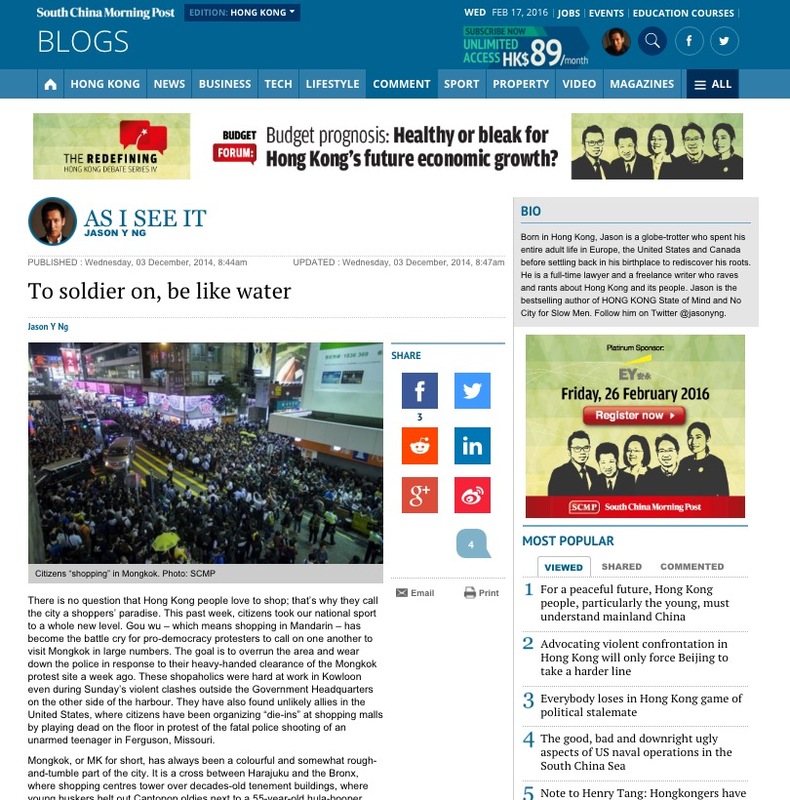 This article appears on SCMP.com under the title "To soldier on, be like water."